History will be made in Plateau State tomorrow, (Sunday) as the administration of Governor Simon Bako Lalong and Plateau United Football Club would for the first time in the history of sports, play host to prestigious Confederation of Africa Football (CAF) Champions League. The team will also play in the tournament. The “Lalong Boys”, as they are popularly called, will be playing “Eding Sport Football Club of Cameroon”, who are also Champions of the Cameroonian League, at the New Jos Stadium on Zaria Road in Jos, the capital of Plateau State. 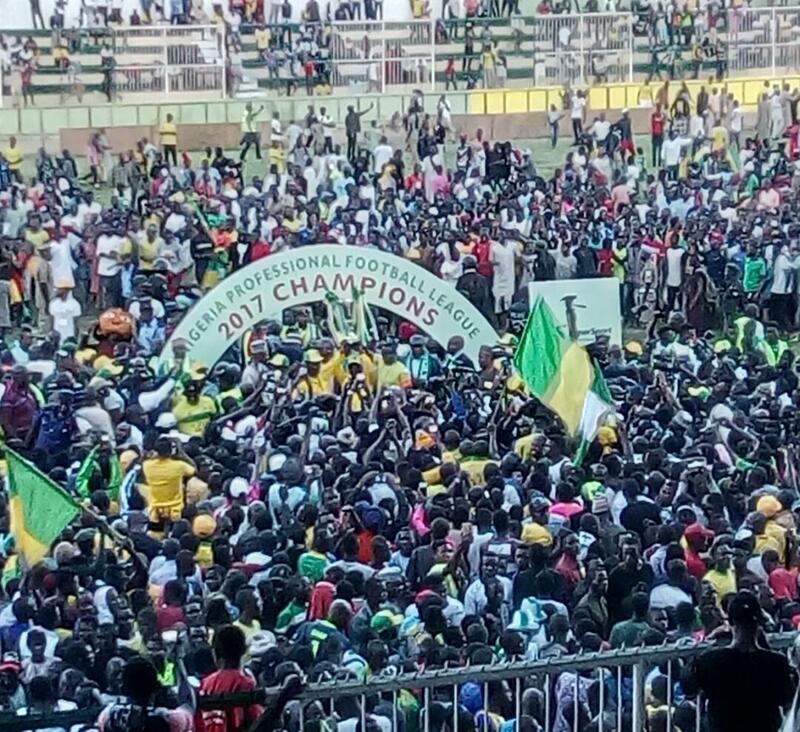 It will be recalled that Plateau United FC, last year were crowned League Champions of the Nigeria Professional Football League (NPFL) for the first time in the club’s history and during Governor Simon Lalong’s administration, after beating Rangers International Football Club on the last day of the League. Playing in the CAF Champions’ League is a new terrain for the Coach Kennedy Boboye tutored side. With the way Plateau United surprised most football pundits by going all the way to win the League last season, when in the previous season they battled relegation for most of the season before ending in the 8thposition, pundits would not want to bet against them giving a good representation in this year’s CAF Champions League. Though Plateau United may not have Continental experience like Enyimba of Aba and Kano Pillars FC of Kano, expectations from the team are however high. Governor Simon Bako Lalong have played a big role n the team last year, when the team won the NPFL. The Governor supportrf the team financially. Expectations are high as the new stadium is also hosting an International for the first time since it was constructed.